Using the Guide and Watching Live TV is very similar to your standard Cable or IP Television. 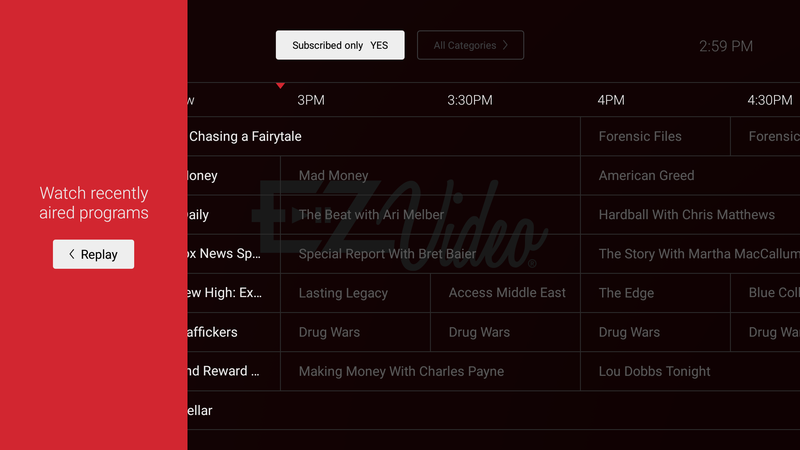 You can browse programs that are currently airing across all your subscribed channels as well as what's playing into the future up to 7 days. To access the guide first bring up the Main Menu then select the first option for "Guide". 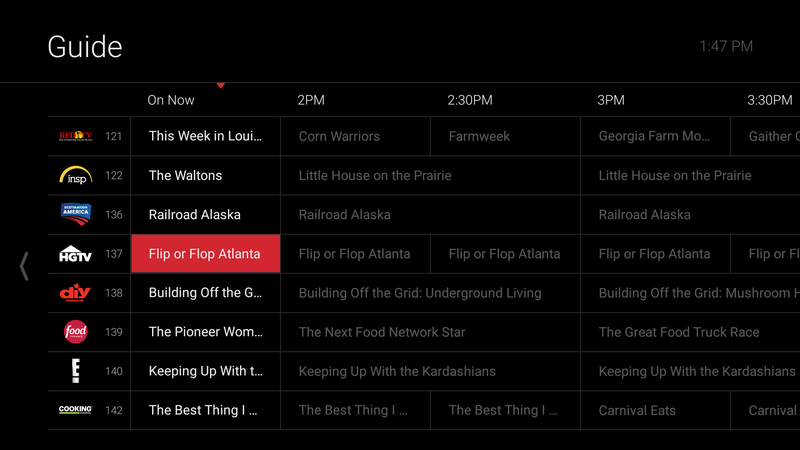 Example of the Guide grid on Android TV. Navigate the guide using the directional buttons on your Roku, Amazon or Android remote or by swiping left/right, up/down on your Apple TV Touch Remote. 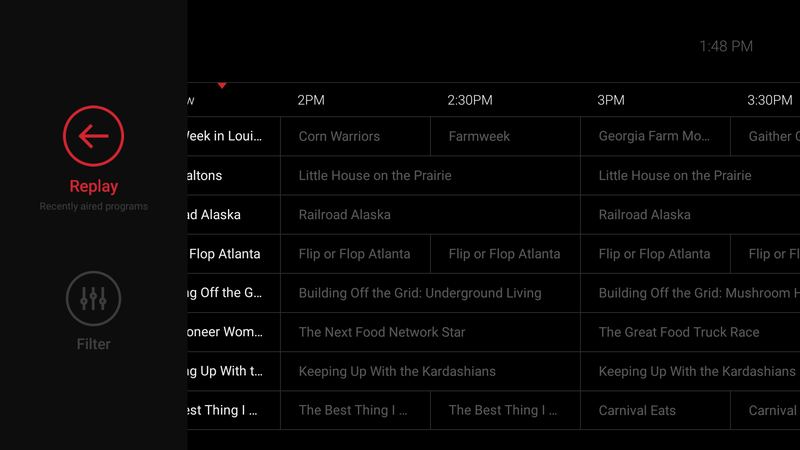 Move up and down through the Guide to navigate channels. Moving left and right navigates backward and forward in time. If you move back in time past the "On Now" time period you will get pop-up for Replay TV and filter options. If you select a show within the Guide you should be given detail information and options for that particular program. If the show is currently playing you will get the option to "Play" in addition to the options to "Record" and view the "Series Info". Depending on the platform here, you may get a preview video of the current program playing on that channel. Press play to start watching live program which you can manipulate using Trick Play.